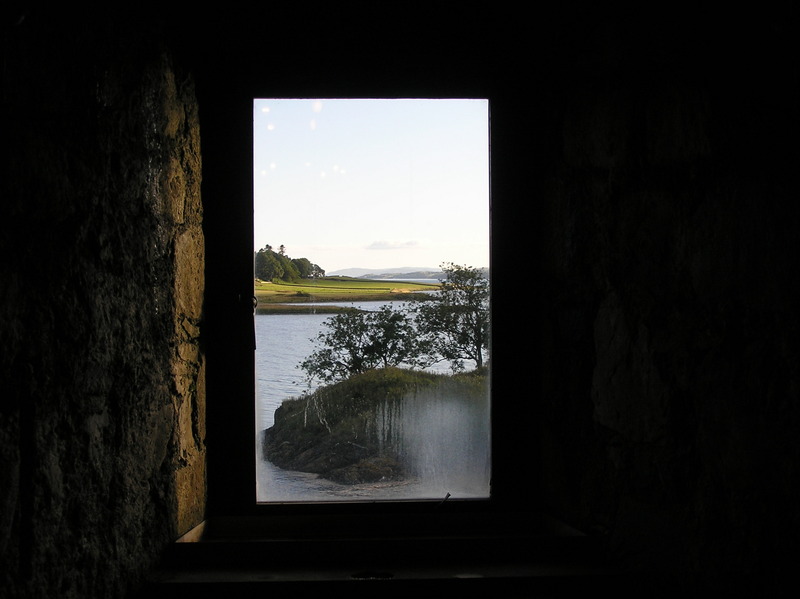 I took the photo through a window of Castle Stalker in western Scotland in the summer. I thought it would act as a metaphor for something, at some stage. Not sure I’ve focused on one in particular – ‘Each of us only has a partial view of things’? …. ‘The things we’re ignorant about help frame and yield value to the things we are aware of’? Trying too hard maybe. It’s just a photo. But the year, I’m more certain of. It has been one of new starts, and of things drawing to concluding stages. When you are get to your mid ’50s you don’t expect such terminal extremes but some are self-generated out of a now-or-never, and some steal upon you. 3. The best, the very best of times with students – is at the end of long day out in the field, living the geography of a region new to them, and watching them, in the evening, process and work the material they have collected. Geography-imbued for a whole day, and they’re still going at it at 8, 9 in the evening; tired but still sharing, c ollaborating, working on their own, absorbed in ideas and concepts. 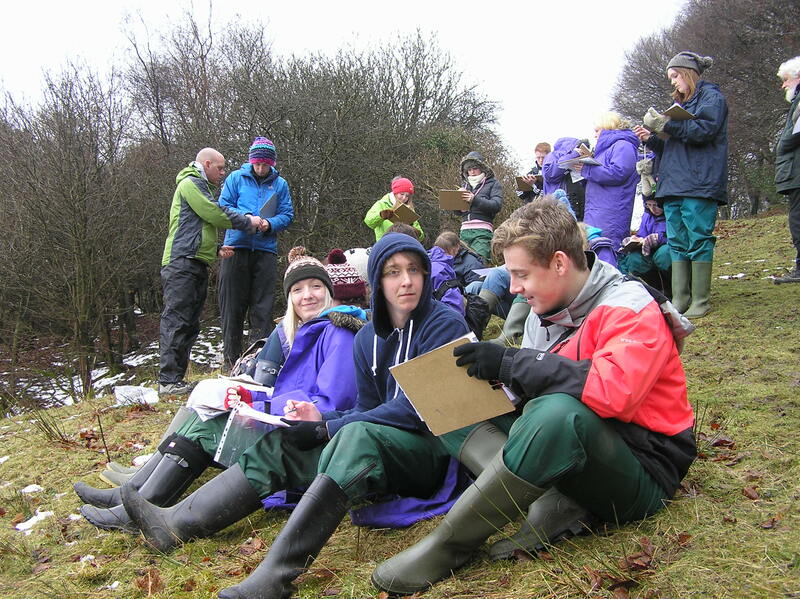 The Y11 fieldtrip to Cranedale saw students sitting in the snow field-sketching a valley in abject concentration. (OK – so they moaned – but teenagers do). But it was their evaluations of the experience at the end of their Y11 course that told the real story and the memories laid down. As teachers we are in such privileged positions to offer life-impacting opportunities. Do it – again and again. Then remorselessly again. 4. Taking on more when you feel you’ve got too much on. I’ve only ever been able to take one cross-over learning message from sport to life – and it’s from skiing. For a couple of seasons my progress was slow and laboured until – probably from an out-of-control excess – it clicked. When you’re doing a turn on a steep slope the natural instinct is to lean back into the hill. But -*insight* – if you lean counter-intuitively down towards the slope you’re looking at with trepidation – the skis carve a slick and beautiful turn. I’ve found that’s what I need to do with work too. When it feels too much and the demands are stultifying, that’s the time to take on something new rather than waiting for clear water (that’s not going to happen). So this year three of us have been putting on a programme of twilight CPD sessions for the whole staff. It has involved lots of reading, researching and twitter has been an invaluable resource. The very act of immersing yourself in something you choose to do, that you believe in and which is valued – enables you to find the spirit to tackle all the rest of the ‘must-do’ agenda with renewed vigour. Initiate. Fall willingly towards that which you fear. (Believe me, it works – book that skiing holiday). 5. I watched both my parents fade, one from dementia, one from a stroke, both in their 80’s a decade ago. This year it has been a case of watching my OH drive down to Berkshire every few weeks to attend her mother who is succumbing to alzheimers. Her dedication has been immense and we do our colleagues such a disservice if ever we forget the blights and trials they may face in the hours before they arrive at school, and those they return to each evening. Often we don’t know the half of what a typical day involves when we just see the working face for a few hours. We need to make sure the job demands allow people to live those other facets of their lives too. 6. Accepting my age in the students’ eyes: I learnt a new term. And was ascribed a new role. Bundling into the classroom at the fieldcentre I stove into the end of a conversation a bunch of the girls were having. As I laid down the laptop I chanced to inquire “So what is a ‘camel-toe’?” Message – I should have no embarassment in my ignorance, in just the same way that Katie – after a moment of deadened silence, looked me in the eye and proceeded to clearly define it for me. I love that unyielding confidence that teenagers can channel. A few weeks later, the same group were meant to be getting on with some work when two of the brightest girls, at the back were lolling, pens idle, whispering – glancing at me – whispering again. Sidling down to ask ‘Any problem?’ one put her pen down saying ‘We’ve decided you’d make a really good grandad. You’d read stories in all those accents and it’d be great” (pause) “We’d like you to be an adopted grandad for our kids one day”. (Note to self: never, ever, act your age). 7. Blogs. I tend not to express myself much publicly. I’m a listener rather than a talker; an asker of questions rather than a giver of answers (see #11). But blogging has been like another form of the ‘just say Yes’ initiative. I tend to blog when an urgency has built up and needs release. Each time, as the finger hovers over the ‘publish’ button I double-check ‘Is this really what I think? Will it sound hollow to those who teach alongside me and see the full deal? Am I off-beam with this one.’ And in that checking I find it elemental in defining what I actually do think (as opposed to what I think I think, or would like to think I think). Just so many thanks to those who have commented, questionned, challenged, favourited or retweeted. You have helped this fifty-something discover and reveal another facet of himself that is surprising, but also invigorating. 8. I have taken SOLO places in my teaching that students and colleagues have found useful. Some new ideas we get enthusiastic about, use to exhaustion, then discard. I’m glad I’ve pushed on with this taxonomy. It hasn’t set off explosions, but it is redeeming a value in my planning, assessing, curriculum-designing and lesson activities that no other model has. One of the most rewarding aspects is other colleagues getting excited about its capacity for opening lines of enquiry and conceptual development in their classrooms and then sharing with me the results in students’ work. It is like a newly-found chisel, gouging fresh routes along which ideas can flow to get to bigger oceans. 9. ‘Yes’#2. The same sense of a communal critical mass seared through a lecture theatre at Southampton University – as at PedagooLondon. The energising duo of David Fawcett and Jen Ludgate asked if I could share some of the SOLO posts in a workshop at TLT13 and, again, seeing and hearing the collected voices of some of the most significant movers and shakers working in schools up and down the country today raised such a pride in this profession and the people it attracts. The only regret is that this grassroots grasping of the sceptre of education’s authoritative conscience comes at such a late stage in my career. It is movement of huge potential for self-directed CPD and reform of practice. 10. Both our kids have become more settled in careers and locations (just the right distance away, one in York, one in Sheffield – 50-80 mins door to door). But it’s also nice to still be needed on occasion. This last week my son and I have been searching for a car for him to buy having gone 5 years since his first one. It’s an interest neither of us possess beyond attempting not to be sold a duff one. Job done, he is packing it as I write, exuberant in the freedom that having his own transport again allows him. The other is in her third year of teaching and she causes me to check my words and thoughts. The things that I moan about in teaching, she is more inclined to accept as part of the package. She is part of such a supportive and purposeful team that we can’t believe our luck that she ended up there as her first post. She is now teaching me things… but occasionally a phone-call comes through of .. “Dad – how would you…..?” We all require being valued, of being useful to someone. It doesn’t feature specifically in Maslow’s hierarchy but it is elemental. And sometimes we need to let others do things for us so that they can see how much they are ‘needed’. To give or receive? Has to be both – providing those around us with the gift of having their value to us acknowledged by being willing recipients. 11. I read two books that changed the way I approach teaching. (Truth be told I ‘only’ managed to read two books fully this year). Hattie – thanks for forcing me to consider doing things I’d rather not do (spending lots of time marking). But more emphatically, Susan Cain’s ‘Quiet: The power of Introverts in a world that can’t stop talking’. This book has redefined my past. Traits that I have, for decades, taken as an absence of qualities – the need to withdraw at lunchtimes to my office (going home for lunch even as a teenager); preferring a quiet meal with friends rather than a party; actually – not having many friends…. All classic characteristics of introverts. And there are loads of us – round about a third of the population. This meticulously researched book, taking from psychology, cognitive behaviour experts, business leaders and academics hasn’t just reframed my view of why I often make the choices I do, but made me consider the rows full of children in my classes who will have similar traits. And – I’m not weird for cringing at ice-breaker exercises and anything to do with sugar-paper and a group. I will, henceforth, defend my position in the corner with a book to the end. 12. ‘Yes’#3. As I passed Luton on the fourth hour of driving after a full Friday in school I asked myself what the heck I was thinking of. 36 hours later it was abundantly clear. To be amongst 40 or so dedicated professionals at the inaugural SLTcamp left me hopelessly proud (recurring motif) of the people in this profession. What Stephen Lockyer and Sarah Findlater had produced was an experiment in CPD-ing that was ultimately euphoric. The energy of these two, combined with the passionate belief in making a difference from people such as Debbie and Mel, David Rogers, Tom Boulter and so many more epitomises the quality of professionals at the heart of many schools. Equally useful was meeting up with people whose tweets I haven’t always seen eye to eye with, and realising that 140 characters can never do justice to the full dimensional person. (Stuart Lock – this lion has so much heart). Tweet, yes; but meet, greet and interact in person whenever possible. 13. And… the hardest. We lost a colleague this year. It happens, and it’s not the first time we have been touched by loss. But when you have appointed a colleague to their first permanent teaching post and can still remember your jaw-drop at the quality of their demonstration lesson at interview, watched them move through the early years of a career from tentative learner to one of the most capable practitioners you have the privilege to observe lessons in, to the whispers and chuckles as she is courted by another colleague, watched the video of their wedding in Swiss snow, delighted as first one daughter, then another cavort underneath your table at faculty barbecues, and then stand, stunned in her classroom as she says she’s going to have to have some tests done – then there is nothing that really prepares you for what follows. The eulogy virtually wrote itself. Of a colleague – a friend, who you have held in your mind as a role-model when you’ve faced a tricky class and thought ‘Now how would Sally deal with this…. ?’ What shaped these months was the way her department, the faculty and the school came together in a network of supportive actions that superceded professionalism. What stunned was the wave of tweets and facebook comments from former students who spoke of ‘the best teacher they had ever had’, ‘someone who gave me time and changed my life’ to ‘I am now a teacher because of her… I owe her my chosen career’. Fortunately, some of us had the chance to tell Sally while she was still with us, what she meant to us – and would keep on meaning. That is what we should do to all those who touch our lives whilst we share this time and place. Cherish, and share the sentiment. Nurture the primacy of human worth. If you have read this far, you deserve a break. 1. Apply for an allotment in the village. It’s where the best thinking gets done. 3. Find sooner the chink in those ‘difficult’ students – that crevice where a seed of connecting can fall. 4. Support those children who the education system is in danger of failing most – the children of teachers. Reduce to a minimum what you ask of colleagues who are parents. Give them time to give it to their own children when those children need it – which doesn’t necessarily coincide conveniently with weekends or holidays. 5. Lay down plans for your 2 books. My daughter gave me 2 leather-clad blank notebooks for Christmas for the novel, and the book on Department Leadership I’ve been muttering about for a couple of years. The ideas will begin to take form. (Thank you Harry Fletcher-Wood – one of the nicest people I’ve had the pleasure of meeting this year, who keeps insisting I must stick to this intent). 6. Support the SOLO group in school – we all need prompts to keep the determination fresh. 7. Refrain from my mum’s ‘It’ll see me out’ response. (She’d buy a skirt in her 60s’ and decide it’d be the last she’d need to buy. She lived to be 88). When you have maybe less than a handful of terms left you look at a lesson plan and wonder whether that activity really needs refreshing. Yes! Do it! No apogee until the penultimate term. Period. 8. Start laying plans for how you will fill your days when you do slip the daily classroom festival. See the last 34 years as the first stage of your career. What will be the second? 9. Be sensitive, earlier, to your colleagues under pressure. Too many succumbing, too many being lost. Earlier this year the poetic Jane Backhouse picked up that I was not my usual self. That sensitive perception was so appreciated. I have, at times, been too distant from noticing it in colleagues I work with. 12. Write my Gardening Diary more often. It’s taken a back seat this year. It started in 1986 with my first allotment, and what started as a list of which seeds were sown when has developed into something I fondly imagine some far-futured relative reading. So it mentions the crumbling of the Berlin wall, the first Iraq war, the feeling on May 2nd 1997 (look it up – cultural capital), and the Great Sprout Disaster of winter 2013. 13. Read more edited journalism. I love reading blogs and have learnt so much from them (hat-tip Kenny Pieper, Alex Quigley, Tom Sherrington, Chris Hildrew, Shaun Allison and so many more…) but I have missed reading the Guardian regularly and I’ve probably read 6 TESs all year even though I pick one up every Friday. 14. I can think of no other career that could have given me the joy and basic ‘worth’ than as a geography teacher. I’m not the best teacher in the school, nor do I have the qualities to be so. But I will work towards the edict: “Make your best term your penultimate one in your career”. I need to cherish these remaining times with young people and with colleagues to overcome the denudation of political tides. I’ll try to nurture both the memory of those who have meant most, and those upon whom I am permitted to weave an influence. That will have to do. As for ‘Know thine impact’… I don’t think we ever can, fully. But learning from those emails and tweets that came flooding in, let’s not be wary of sharing our appreciation whilst we can, and whilst it can be heard. Post-script: Still haven’t found a suitable metaphor for the photo – but let me know if you can see one.